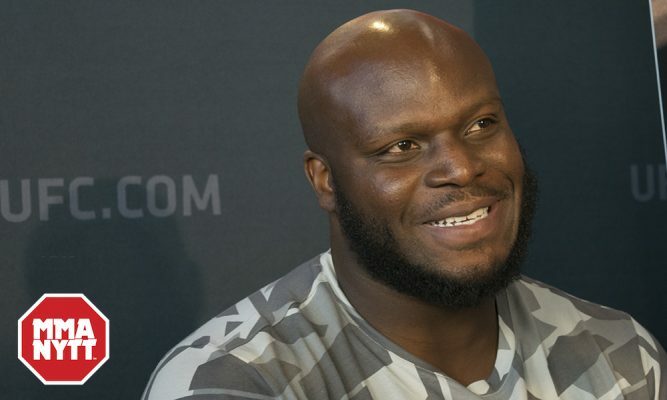 A heavyweight bout between top five ranked contenders Derrick Lewis and Alexander Volkov is being finalized to serve as the co-main event for UFC 229 on Oct. 6 in Las Vegas. UFC president Dana White confirmed the news when speaking to ESPN on Tuesday. Lewis has gone 8-1 in his past nine fights with his only setback coming against former title contender Mark Hunt last year. Most recently Lewis earned a unanimous decision win over highly touted heavyweight prospect Francis Ngannou to secure a spot in a fight that might earn him a title shot. Meanwhile, Volkov has gone undefeated since first arriving in the UFC and picked up the biggest win of his career in his last fight when he dispatched former heavyweight champion Fabricio Werdum by knockout. Now Lewis and Volkov will face off in a three round heavyweight showdown in the co-main event at UFC 229. The main event for the card will be the most watched fight of 2018 as Khabib Nurmagomedov puts his lightweight title on the line against Conor McGregor, who makes his first return to the cage in nearly two years.